We’ve been hearing about WeChat, Weibo and Douyin, the so-called “2W1D”, far too much, that it has now becomes a must for brands attempting entering China. At the same time the prominence of these three giant platforms is vividly felt, there are some social media platforms that are lesser known to the western world but no less important and popular than the giant trio. According to Statista, WeChat ranks fifth in user number following Facebook, YouTube, WhatsApp and Facebook Messenger, with its 1.04 billion users. Douyin and Weibo rank ninth and tenth respectively. After, interesting enough, fellow Chinese social media platforms of QQ and Qzone. Further down the list, right above LinkedIn and Skype is Baidu Tieba, a BBS-turned open forum, that has about 300 million active users. 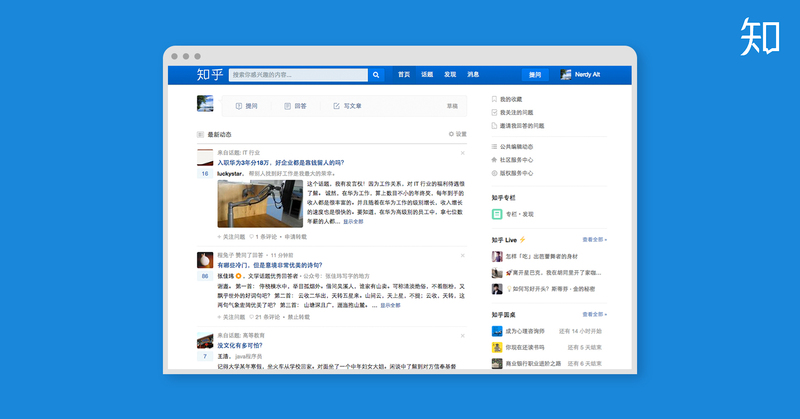 And don’t forget the Chinese Quora, Zhihu, which announced in May that their registered users surpassed 160 million, levelling with Douban, an online community of a more artsy group of minds. Once hailed as King of Instant Messaging, QQ is Tencent’s first major product officially launched in 1998. Modelled on early-day ICQ and later MSN, QQ used to be the main online communication tool for almost entire early Chinese internet users. It’s popularity came to a bottle-neck when Tencent launched their mobile flagship WeChat in 2011. The shared login seamlessly converted many QQ users to WeChat users. Many use QQ mainly as a work tool, to transfer large files and have online group meetings. But the popularity growth is now back on track, thanks to the emerging Gen Z and even Generation Alpha. Many of these school children have limited access to mobile devices during school days, due to strict rules posed by both schools and parents because heavy study pressure. Another reason is WeChat has been branded as “personal territory” from day one, but QQ remains largely a semi-personal, semi-open tool on which casual socialising with even strangers are accepted and allowed. This meets the natural curiosity of young users. QZone is an important part of QQ’s social function. In simple analogy, QZone is the Moment on WeChat, only a gazillion times more fun. 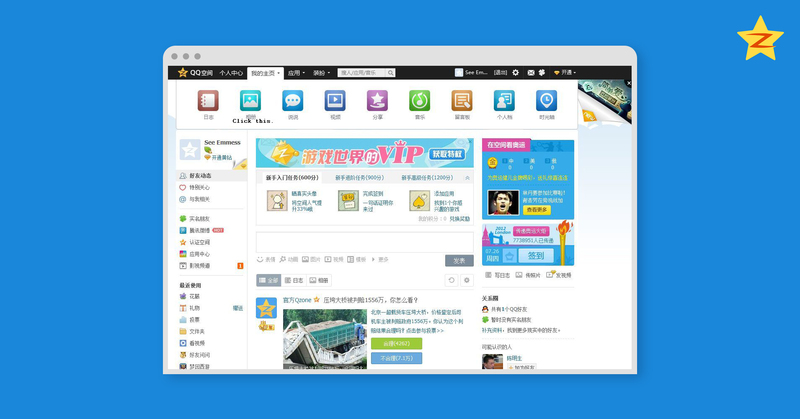 Apart from text and images, QZone allows users to decorate their own pages, listen to music, form same-city communities, and even connect to online games (like iOS Game Centre), etc. 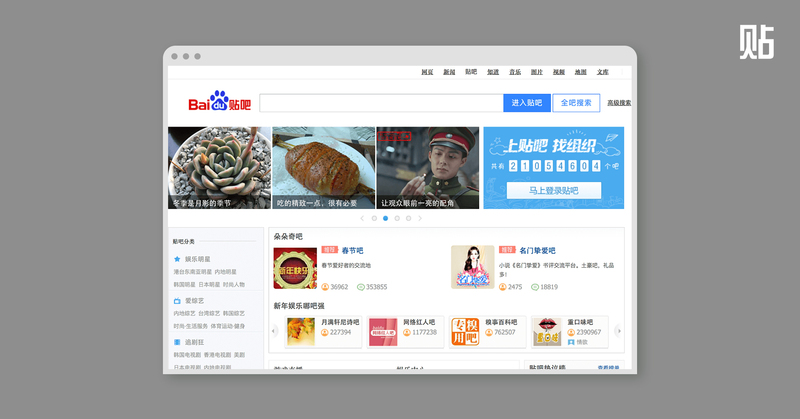 Built on the back of Baidu, China’s biggest search engine, Baidu Tieba is an open online interest-based forum.Users can freely create new “bars” with unused keywords. Keywords can range from football teams, for example Manchester United Bar, to celebrities, like Jacky Chan Bar and activities. Apart from mainstream cultures, many sub-cultures also find Tieba a safe and open space. Li Yi Bar, a bar named after a controversial Chinese footballer whose downcast lifestyle gave birth to the slang term diaosi, which refers to a young male of mediocre appearance and social standing. The term echoes with millions of young Chinese male who feel the growing life pressure in modern society. Many of them use Tieba as a ventilation of their discontent. At its peak, Li Yi Bar along has almost 30 million followers and populated with near a billion posts. Named after a piece of classical text about knowledge, Zhihu, for its knowledge sharing nature, is known as the Chinese Quora, except in addition to its Q&A function, Zhihu has a much better embedded social function. From day one, Zhihu has been boasting the originality and unmatchable quality of the content published on it. But it’s the building of a self-sustainable online community differentiates Zhihu from Quora. Rather than simply answering questions, Zhihu launched a legion of knowledge-based products including Zhihu Live and Fen Da, to better experience as well as creating its own community, which moulds Zhihu into a hybrid of knowledge hub and online education centre. High adhesiveness is the most valuable byproduct in marketing terms. Brands can utilise the platform to enhance the brand understanding or to boost sales by providing practical informations. 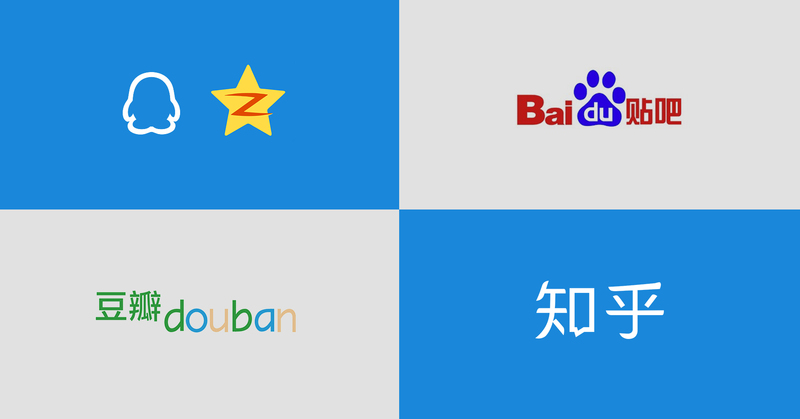 If Zhihu is for geeks, then Douban is for people who have a stronger appetite for culture and art. Movies, literature, music, books are some of the pillar sections of Douban. 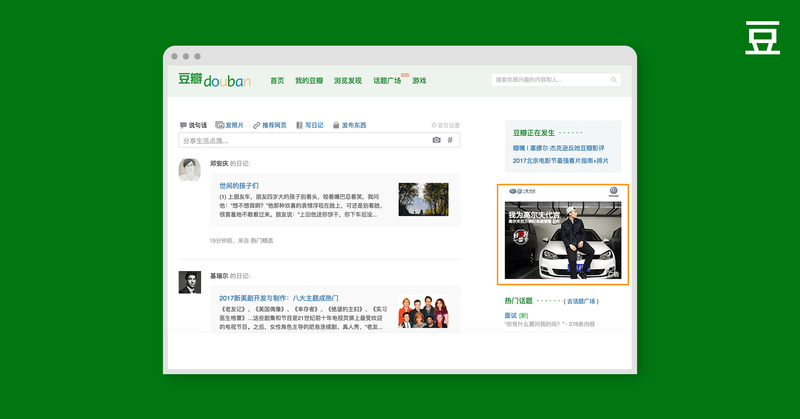 In many ways, Douban is deemed as a more “elite” platform because much of its content requires more in-depth knowledge, hence education, to consume. The platform allows users to discuss in a way similar to that of BBS in the interest-centred groups. Many have a consistent follower base even when facing the vehement “assault” of WeChat and Weibo. Previous PostMid-Autumn Festival is at our door step. How can brands prepare?